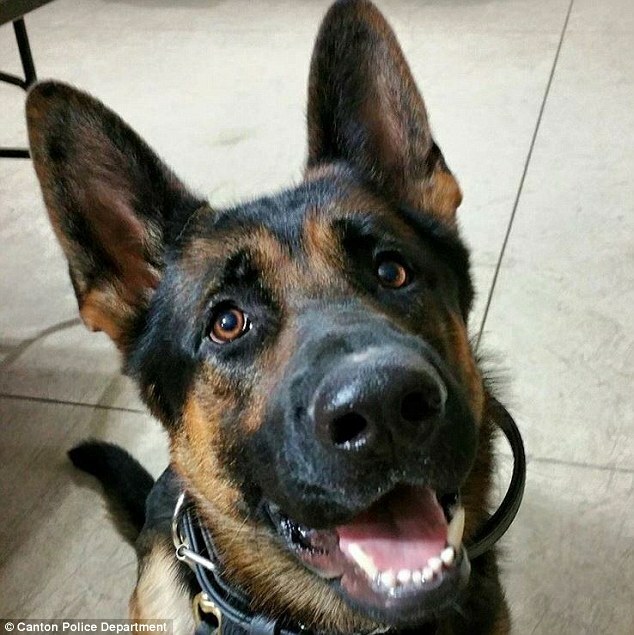 Jethro, a 3-year-old, K-9 police dog, has recently passed away on Sunday due to multiple gun shot wounds from an armed burglar. 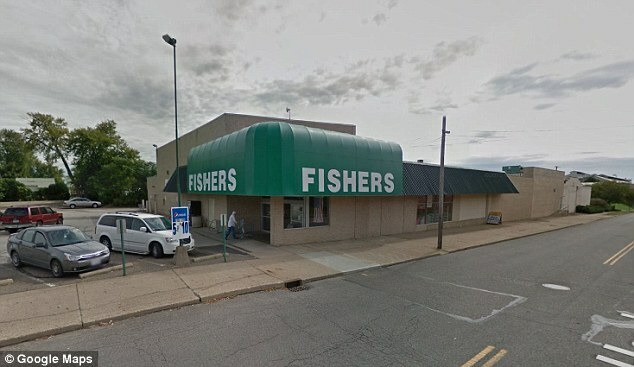 The shootout occurred at an Ohio, Fishers grocery store at 1:13 a.m. on Saturday morning. The suspect was apparently still inside the store when Canton police arrived at the scene. 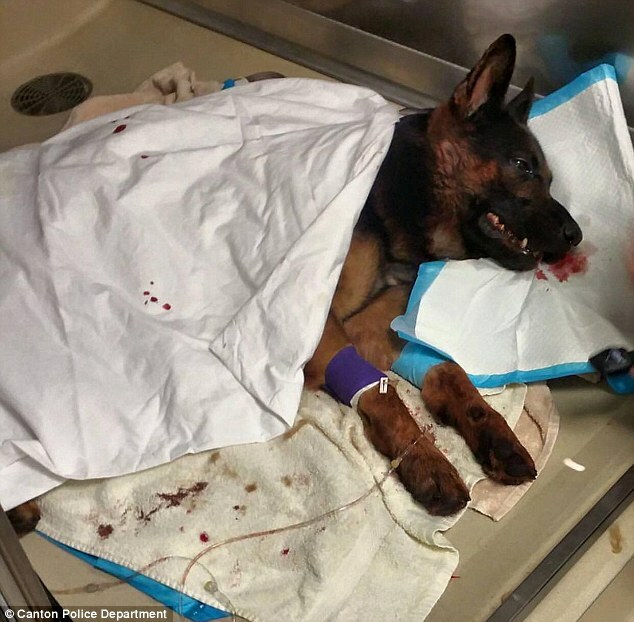 As soon as Jethro tried to takedown the suspect, the armed burglar shot the dog various times, attacking him in the face, neck and shoulder areas. After police saw Jethro laying on the floor, police officers fired back at the shooting suspect. The suspect is identified as 22-year-old Kelontre D. Barefield , who suffered a leg wound and was transported to a local hospital with non-life threatening injuries. Jethro was admitted to Stark County Veterinary Emergency clinic. He suffered complications arising from the traumatic facial gunshot wounds, which resulted in severe brain swelling. Veterinarians expected Jethro to recover, however, the severity got worse the next day and he was not expected to survive. 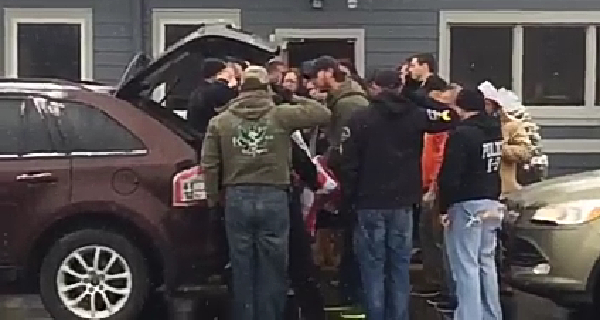 Jethro’s partner , officer Ryan Davis, stayed with Jethro throughout the entire time he was at the hospital. 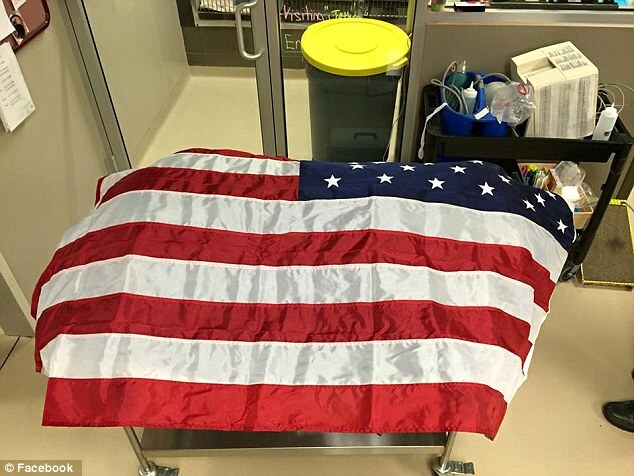 A candlelight vigil was held outside the clinic as police officers salute to the heroic dog as he was being brought out with an American Flag drapped over his body. Keith Riffle has posted the video salute to the dog on Facebook, which had garnered over a million views. 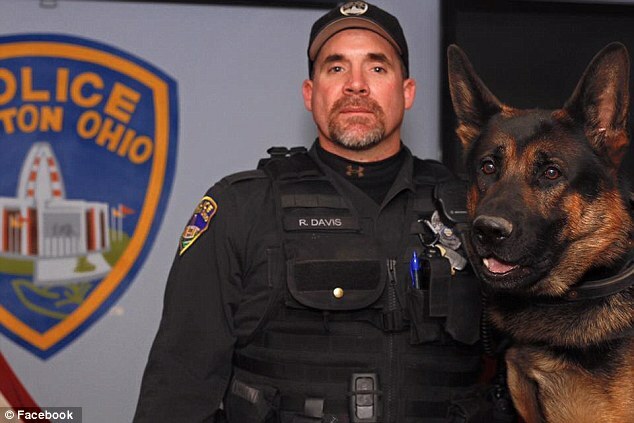 In honor of Jethro, police K-9 association of Canton, Ohio are selling t-shirts in memory of the heroic dog. All proceeds will be donated to the K-9 association who specializes in training these K-9 dogs to help protect police officers during their line of duty. Thank you Jethro! Hi. If you like my stories, please follow me on my profile for updates. Thank you.